Are you a long-distance cycling enthusiast? 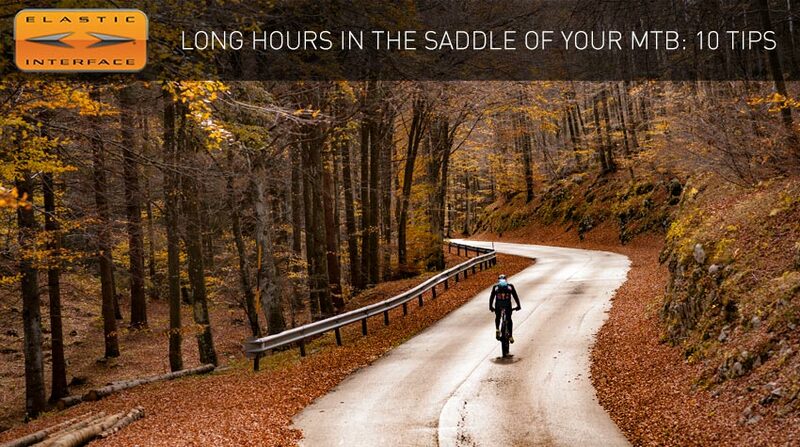 Do you love spending hours upon hours in the saddle of your MTB? Find here our list of ten tips, from clothing to equipment and tricks to make the most of a day outdoors amid nature, in the saddle of your mountain bike. This list gives good guidance for mountain bike rides three-hour to all-day long, with a few tweaks that, of course, vary according to climate, season and altitude you are going to ride at. A ‘bike check’ before heading out is something you really should make a habit of. Your MTB should be in good working order, clean and inspected in every detail: many troubles that end up ruining a ride are predictable. Check that all bolts are correctly tightened and check the brake pads for wear; make sure transmission, suspension and dropper post work properly; finally, verify tyre condition and pressure. 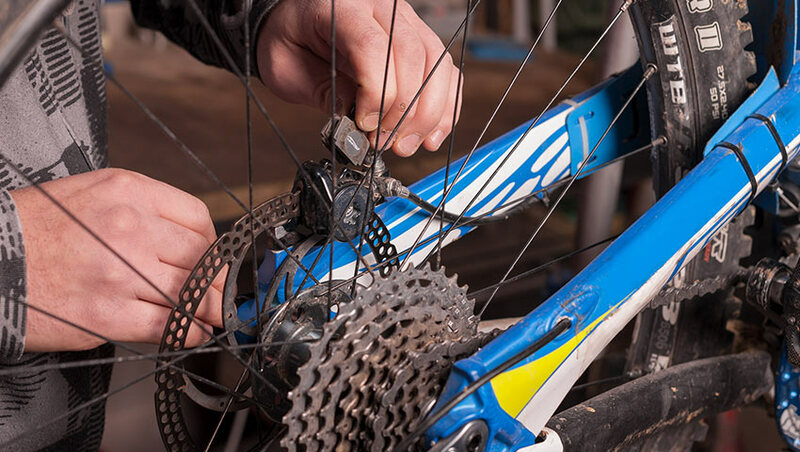 If you are not an expert, take your bike to a trusted workshop for professional servicing: in any case, give the bike a good test ride when you get it back. If you are planning to ride for several hours, the advice is to think ahead about the clothing you are going to need. 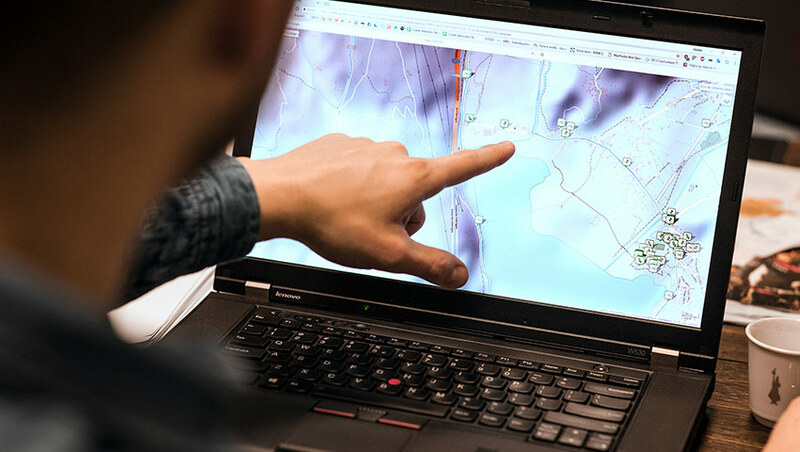 You will need to decide according to season, weather forecast, duration and type of route. Therefore, the choice is quite subjective: shorts over padded liner, technical jersey over base layer, windproof vest or waterproof jacket for the descents…it is really up to the rider’s specific needs and to the type of ride. Choosing a cycling pad designed for long hours in the saddle is essential – ideally tried and tested on previous rides – as well as a base layer with good breathability. In the case of an all-day ride, take a spare base layer with you, particularly if the ride involves a long climb, a middle break and a final descent. Every rider has his/her own physical characteristics and the choice of the saddle can only be a very personal matter. 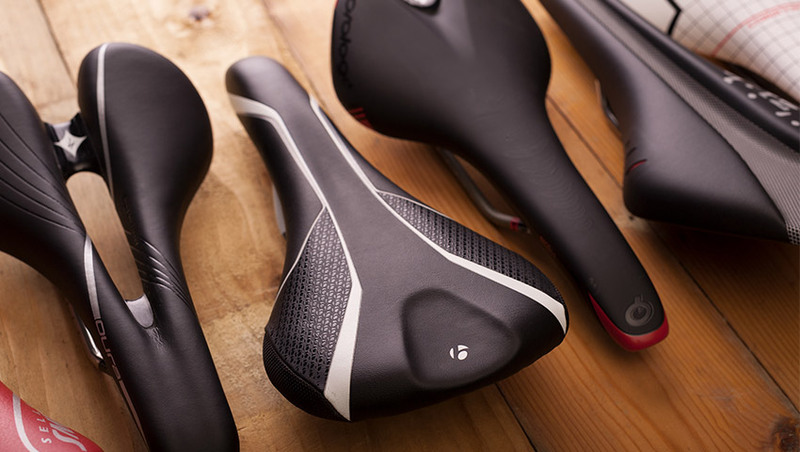 Try a few different MTB specific saddles and choose a model that is appropriate for the width of your sit bones: ask for advice in a specialized shop. If you do a lot of climbing, look for a model with good padding on the nose. With the help – again – of an expert or following the many tutorials you can find on the Web, get the right mountain bike fit: saddle high, setback and angle; handlebar and pedal cleat position. Discomfort while pedalling is often the result of a poor bike fit and if not corrected, it may lead to pathologies such as inflammation and tendinitis. For very long rides, the use of a good chamois cream specific to avoid saddle sore is always a sensible choice. A good method for limiting saddle pains caused by chafing is given by alternating seated pedalling to phases while you rise out of the saddle, even for a few seconds. Another way, especially during long climbs, is pedalling seated on the saddle while shifting backward for just a few minutes, to relieve the pressure over the perineal area. Prepare the route you want to tackle, find out about water stops, type of trails, and weather. Make up your mind about everything in the light of your own level of fitness and that of your riding buddies. If you are going to be by yourself, make sure someone always knows where you are going. Always carry with you a charged phone, some money and your ID. In many cases a backpack is essential; besides, many specific models offer additional protection for your back, of vital importance in all-mountain or enduro riding. Each of us gets to know him or herself and, in addition to the basic kit we mentioned in section 7, our advice here is to always check the content of your backpack to know what you are taking with you and to avoid carrying things you won’t need. For a ride three to five-hour long, you can probably do without a backpack, always of course depending on the type of ride you are planning. A good MTB-specific waist bag is a great companion in these situations. 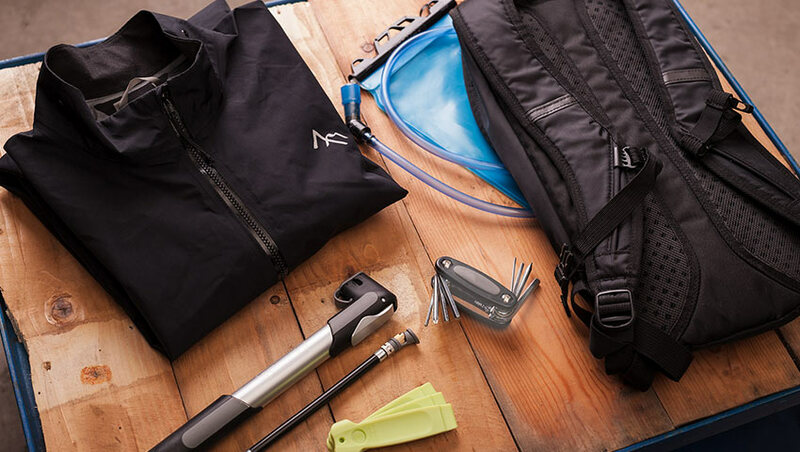 By properly arranging the available spaces, you can fit a ‘basic kit’: mini-tool, tube, repair kit, mini-pump, tyre levers, energy bars, packed jacket and a mini first-aid kit. Or you can cram this kit in a saddle bag and in the pockets of your jersey, as for example in the case of a XC-style ride. Last but not least, hydration: if you will find water along the route, take with you a water bottle that you will keep filling up. Otherwise, consider using a 2/3 litres hydration pack, depending on the duration of your ride. Drink in small sips, often, at regular intervals to prevent feeling thirsty. Remember that dehydration is one of the first causes for loss of focus, cramps and decreased performance, in any sport. In summary, to spend many hours in the saddle of your MTB all you need is a bit of organization and planning in order to address all aspects we have just outlined. Being fit is an important requisite, but it is also a consequence of riding long hours: the body gradually gets used to it and you will find yourself pedalling each time more and more, with less effort.